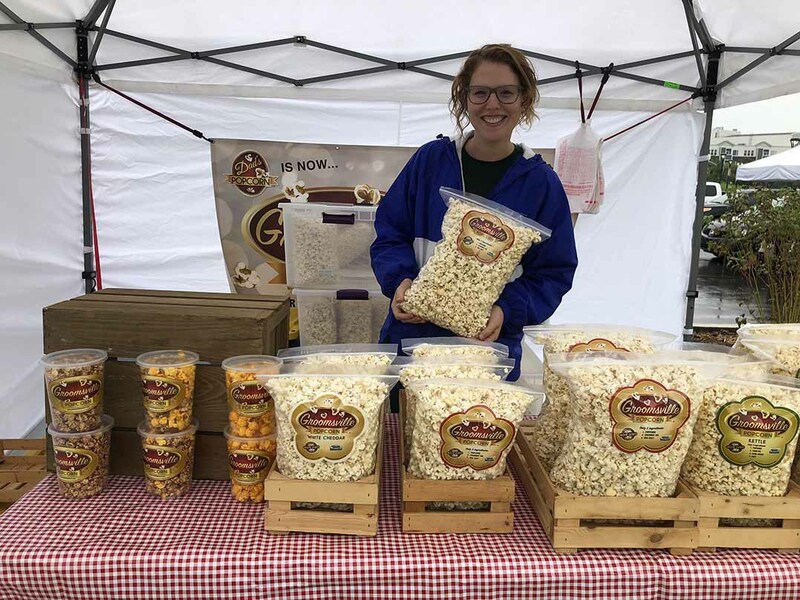 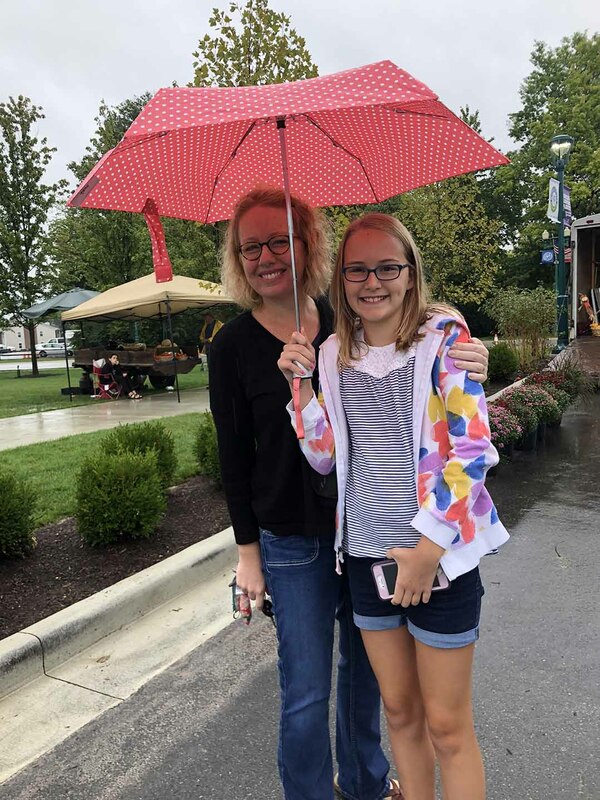 Avery Elrod, left, and Amelia Elrod, of Fishers, attend the market. 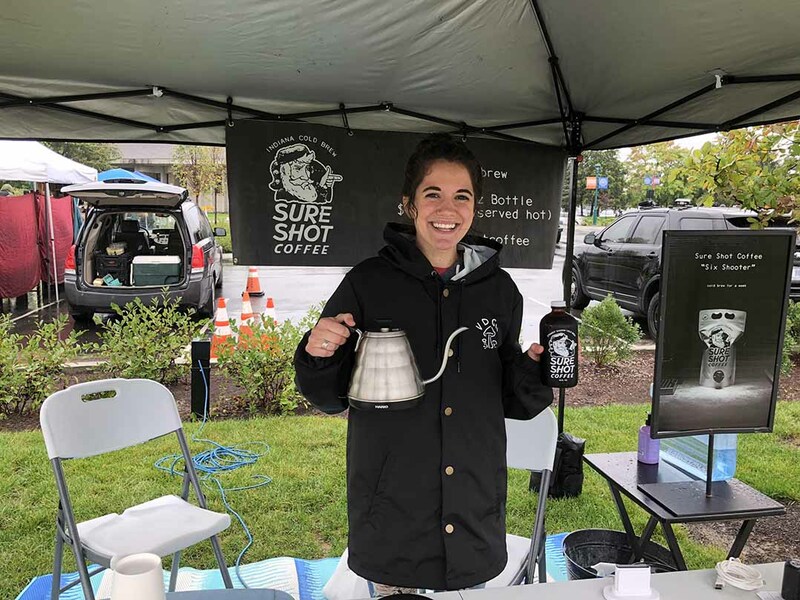 Bethany King, of Fishers, sells coffee. 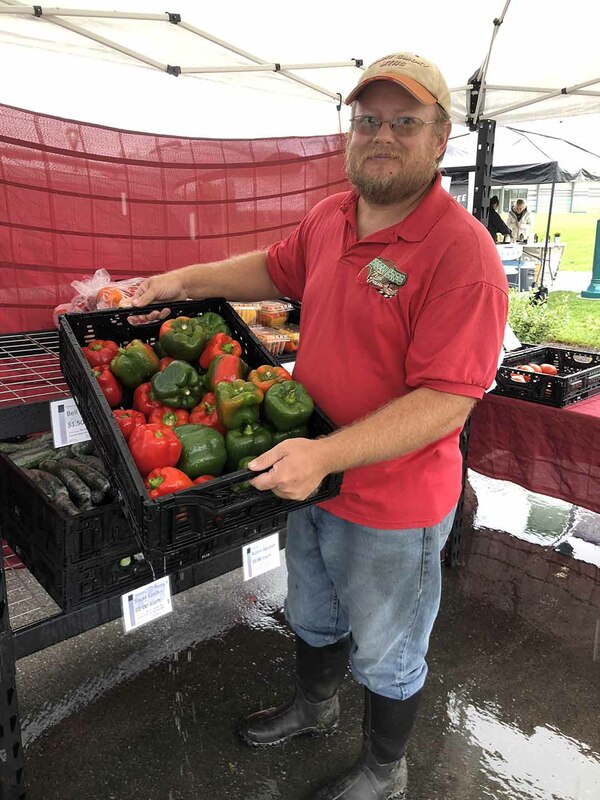 Randy Kemerly, of Wilkinson, sells fresh produce. 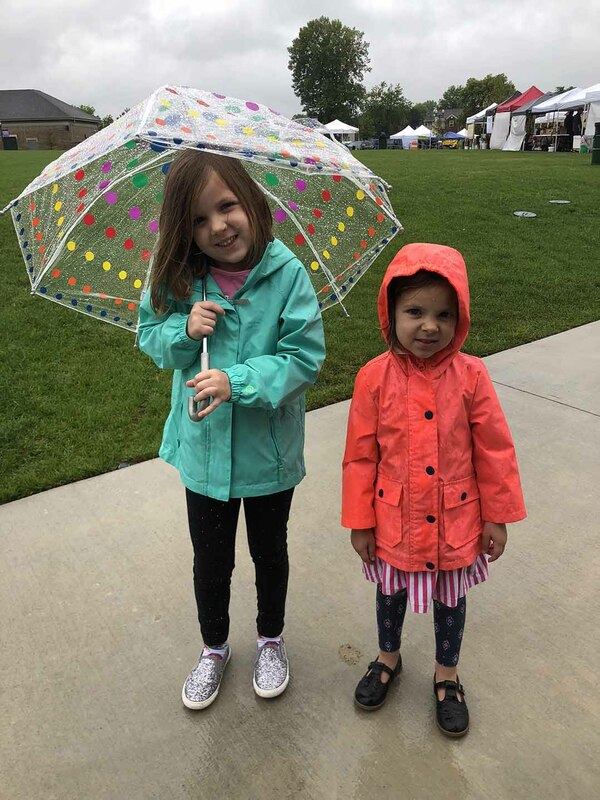 Brishen Lewis-Weir, left, and Bella Weir, of Fishers, prepare for the rain. 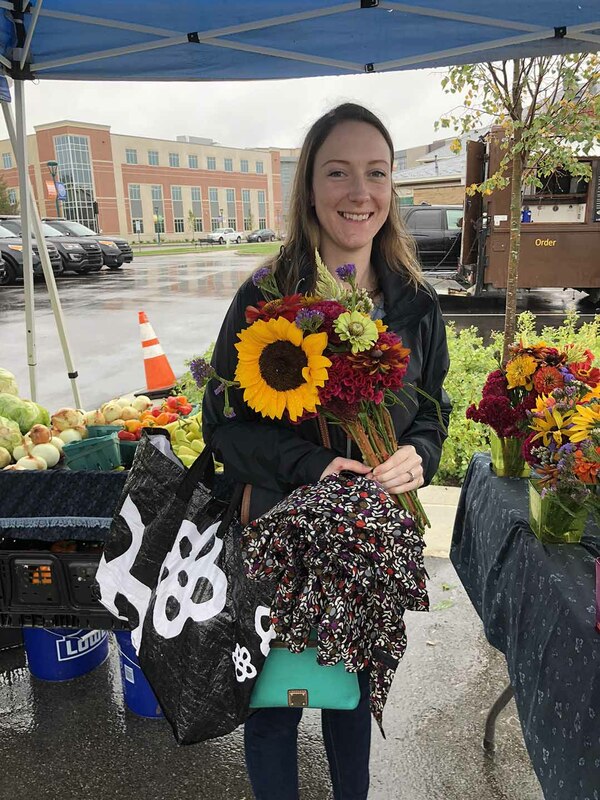 Morgan Hemmings, of Noblesville, purchases flowers from Maple Run Farm.